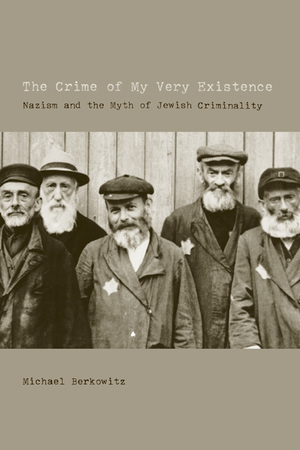 The Crime of My Very Existence investigates a rarely considered yet critical dimension of anti-Semitism that was instrumental in the conception and perpetration of the Holocaust: the association of Jews with criminality. Drawing from a rich body of documentary evidence, including memoirs and little-studied photographs, Michael Berkowitz traces the myths and realities pertinent to the discourse on "Jewish criminality" from the eighteenth century through the Weimar Republic, into the complex Nazi assault on the Jews, and extending into postwar Europe. Michael Berkowitz is Professor of Modern Jewish History in the Department of Hebrew and Jewish Studies at University College London. He is author of The Jewish Self-Image, Western Jewry and the Zionist Project, and Zionist Culture and West European Jewry before the First World War, and has co-edited, most recently, Fighting Back? Jewish and Black Boxers in Britain.